sorry for the lack of updates, too much work. But many things to tell You! 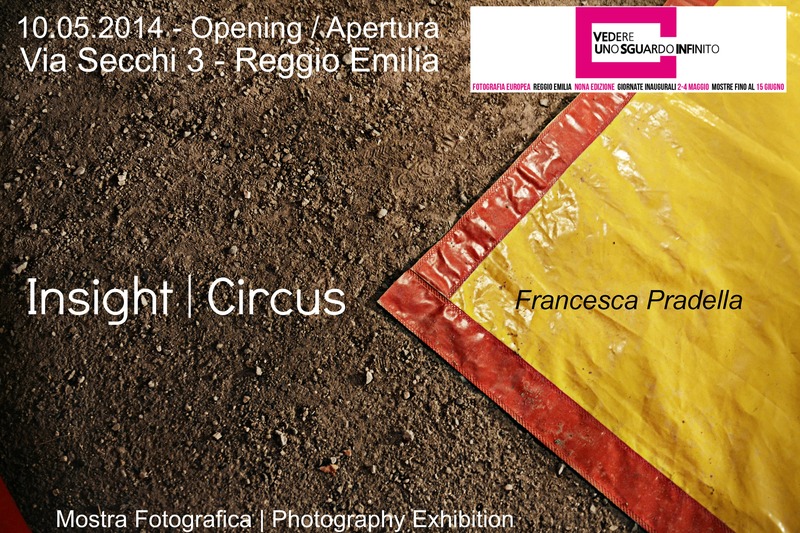 First, I’m happy to invite You to my photography exhibition opening Saturday 10th May 2014, in Via Secchi 3, Reggio Emilia ( Italy). I will be there from 10am to 10pm and the exhibition will last one month and a half. It’s about the world of Circus, considering the main themes of this year festival, “Home” and ” To look: a glance over infinity “. It’s part of Fotografia Europea 2014, an important event held in Reggio Emilia every year. I hope to see You there and can’t wait to hear Your comments. You can’t really miss this: Hebert List, Sarah Moon, Magnum photographers, just to name a few of the exhibitions going on… if You really love photography, Reggio Emilia is where You should be right now! My exhibition is free, but for the others You only need one general ticket ( 12 euro adults / 9 euro kids, students ) and it lasts for a month! Amazing, isn’t it?